In my past two decades of teaching yoga, I’ve seen a lot of evolution in the yoga world. I’ve loved watching new poses come into the mix, some borrowed from creative minds and some from other disciplines such as circus school. I never thought I would be interested in a one arm hand stand for example. I thought, “this is just flashy,” but then I realized the challenge kept me fresh and gave me something to progress towards. I am no longer a naysayer and practice this and other “new school” yoga moves almost every day. That said, having just taught one month of intensive Blissology Yoga Teacher Training course focusing on the ins an outs of yoga alignment, I am recommitted to making people realize my stance on yoga progression. I strongly believe that advanced yoga needs to be viewed not just as flashy, challenging poses, preferably done on the edges of cliffs or waterfalls; nay, advanced yoga lies also in being able to do so called “basic” poses with precision, breath and presence. This needs to remain the foundation of yoga. One afternoon during the YTT, I wanted to run our Yoga Foundations course so the students could see how to explain so called “simple poses” like upward dog or chaturanga to beginners. It become clear that this work was not just for beginners. Even people who had been practicing yoga for decades loved going back to basics and learning how to do them well. It was a joy to spend whole afternoons looking at what muscles need to turn on to make these poses feel light yet stable to explore what the feet, pelvis and hands do in the pose with a fine brush instead of in broad brush strokes. There is a whole world of detail that isn’t boring but outright exciting in this work. There needs to be a resurgence of this type of study in modern yoga. 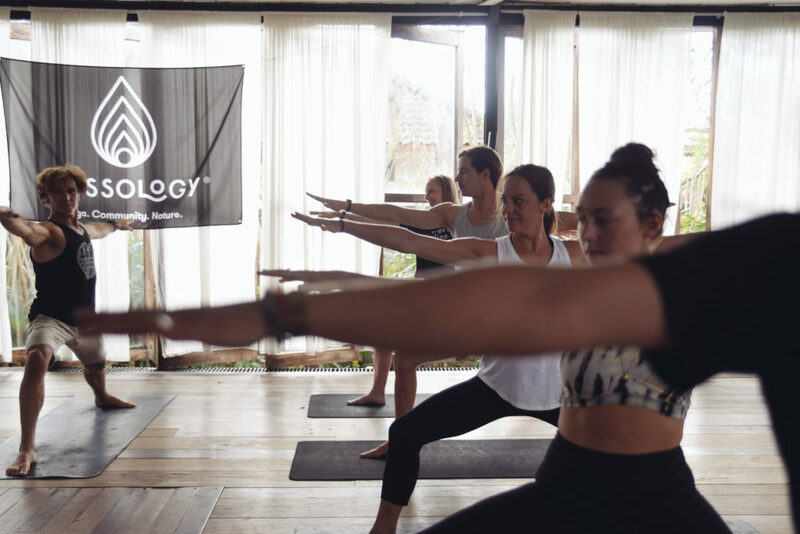 Over the years, as thousands of more yoga teachers pour into the incredibly competitive global yoga market, there is more and more emphasis to find something fresh and exciting in the practice. This means that teachers will step up their sequencing game, make killer playlists, and throw lots of challenging poses into the mix. 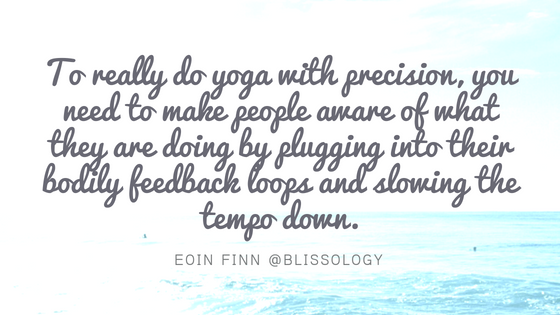 To really do yoga with precision, you need to make people aware of what they are doing by plugging into their bodily feedback loops and slowing the tempo down. In way too many yoga classes I’ve observed, the tempo seems to be speeding up as this is what creates sweat which is an easy sell in our body conscious culture. 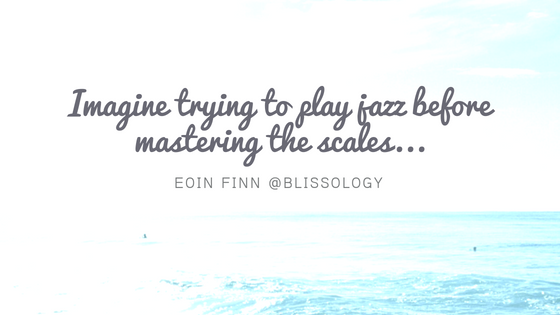 Imagine trying to play jazz before mastering the scales. This is an analogy for what I see in the modern yoga culture. I believe that we need to spend more time ingraining a solid alignment foundation in yogis; and as experienced yoga teachers it is our responsibility to the next generation (of yogis) that we do so. 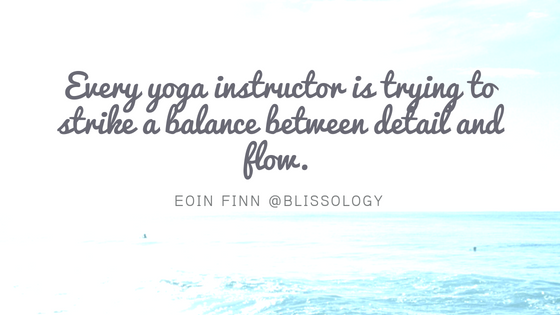 I always remind our graduating teachers that every yoga instructor is trying to strike a balance between detail and flow—and it’s a tricky balance. If you concentrate on the details of the poses, often the classes loses flow and become a clinic or workshop. This means we need to let people know why they are doing the poses, what the benefits are, how they should feel in the pose and let their internal experience guide the poses. It’s the opposite to being guided from the “outside in” and feeling like every pose needs to fit a perfect photo. This is where we progress to in our month long YTT. There is a lot of room still for inspiring playlists, creative sequencing, philosophical themes and even options for advanced poses for those who want to go there in the class. Let’s walk before we run though. Alignment is and should be the foundation for all yoga, beginner or advanced. 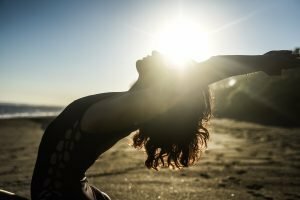 After all, cultivating a strong practice of alignment will help our bodies to continue to practice our yoga as we age, with more freedom and no injuries. I always teach why we need to be in the present before explaining how. I feel this is something that is elusive to people. Simply put, presence opens the door to more intimate engagement in life; life has more meaning and joy in the present. A simple example is food. When we are present to the food we eat, we eat slowly, we savor each bite. The conversation in our head is about how the food tastes, we experience slowly the sensations of each morsel in our palette. It is not about what we are going to do next week or typing a message on social media. We taste what is in front of us with intimate engagement. The flavors speak to us and we listen with our body and mind. By contrast, when we are not present to our food, we tend to just shovel it in as we watch our television or walk down the street. We are still living in our heads and our food is entering our body without any real awareness. There is no intimacy and no connection to who made our food, where it came from, how it tastes or what it is doing to our body. The first step is to slow down and hit pause; to shift from doing to feeling. We want to open the door to more reverence to all life. There is a sense of peace in the body that we seek in yoga + meditation. The lower back is relaxed, the breath is full and deep, the shoulders are relaxed. We need to use this as a barometer for when we are present or not. Often, when we are not present our bodies are tense and our breath is not very deep and only in the upper front chest. The key to me is to see Presence more as a state of body, than a state of mind. When our bodies are light, but grounded and relaxed, the door to presence opens easily. Especially the week of Valentine’s when Love becomes something we focus on more, let’s commit to slowing down and truly being present for the ones who mean something to us. Let’s feel the miracle of each person and the honor to be in this time and this space with another. Our guest today is Eoin Finn. 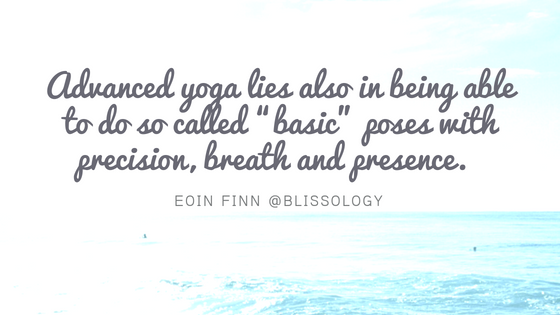 Eoin Finn is a yogi, surfer and blissologist from Vancouver, BC. A philosophy graduate, he has been deepening his understanding of Meditation, Yoga and Eastern Philosophy since 1989. In the mid-nineties he moved to Maui and learned Ashtanga and Power Yoga and later Vinjana Yoga. He’s been teaching yoga for 18 years. 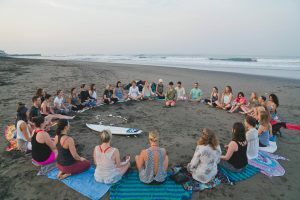 Eoin is a karma yogi with a deep passion for the oceans, and a connection and reverence for nature, that is truly inspiring. 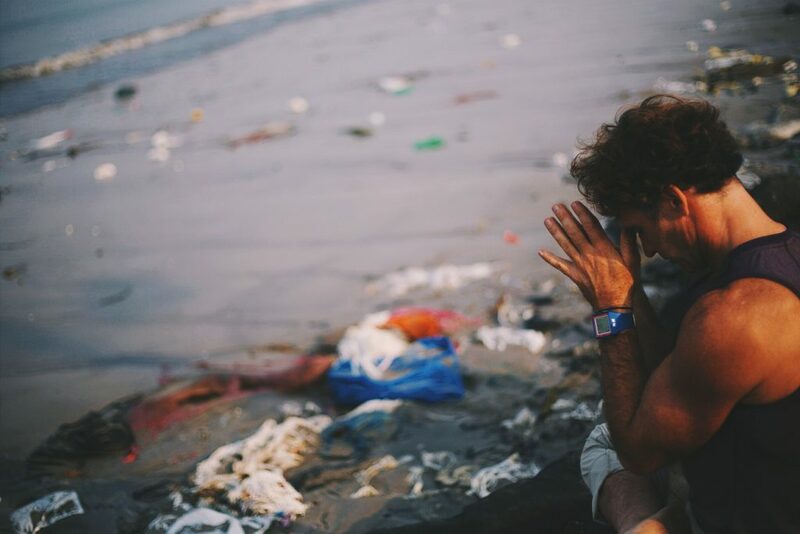 His yoga teacher trainings generally include a lot of education about the environment, as well as hands on projects to help clean and protect it. His Ecokarma program is replacing endangered coral in Key Largo Florida and beyond. Eion says “Karma is the offering of unselfish service – our offering to the world. 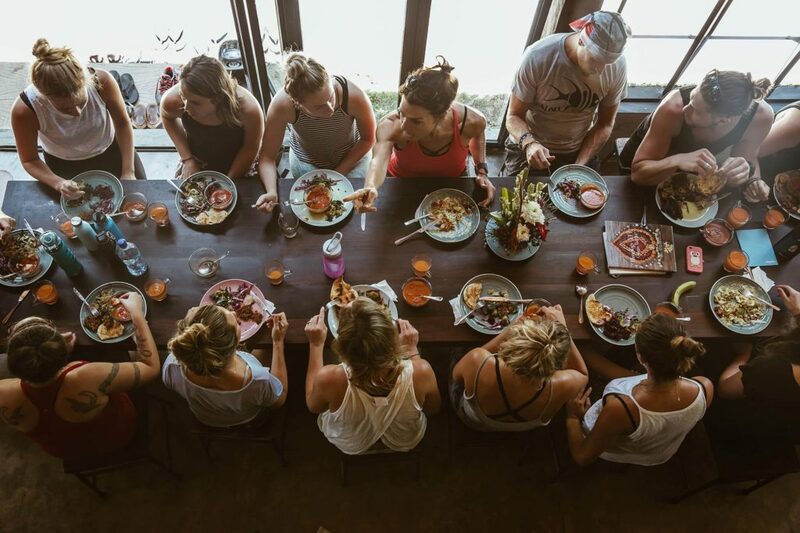 I want us to connect our love for ecology with both the physical yoga practice and selfless service of Karma yoga. 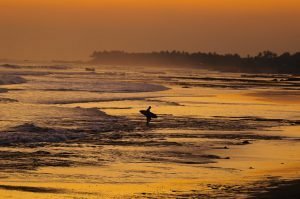 “ I caught up with Eion at the Bali Spirit Festival and we dropped in about the state of the oceans, the effects of overfishing and carbon on the oceans, and what it means to be a karma yogi. He shares his love for nature, explains his main goal in life and guides us on his path of Blissology. If you go back to my first episode and listen to the “7 steps of activating your highest potential” show , you’ll see that Eion really speaks to one of my points, which is seva, or being in service, sometimes known as karma yoga. 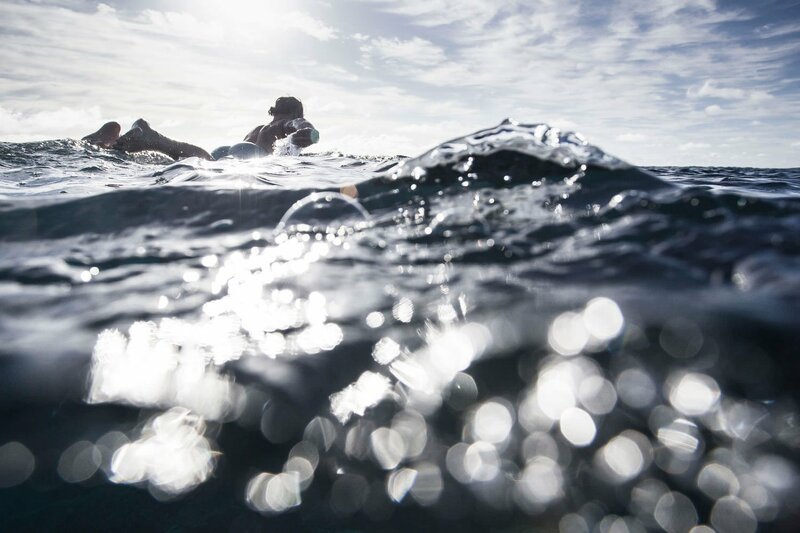 I’m really impressed with Eion’s dedication to educating and inspiring people to pay attention to what’s happening to the oceans, and empowering them to find their own inner power and voice to be the change we want to see in the world. Twenty-nine years ago I started dabbling in tai chi, meditation and yoga. I didn’t know a lot about any of these at the time but I would go to empty beaches where I could feel the transformative power of the Great Spirit. I would move organically and let its energy flow through me, sand in my toes and peace in my heart. 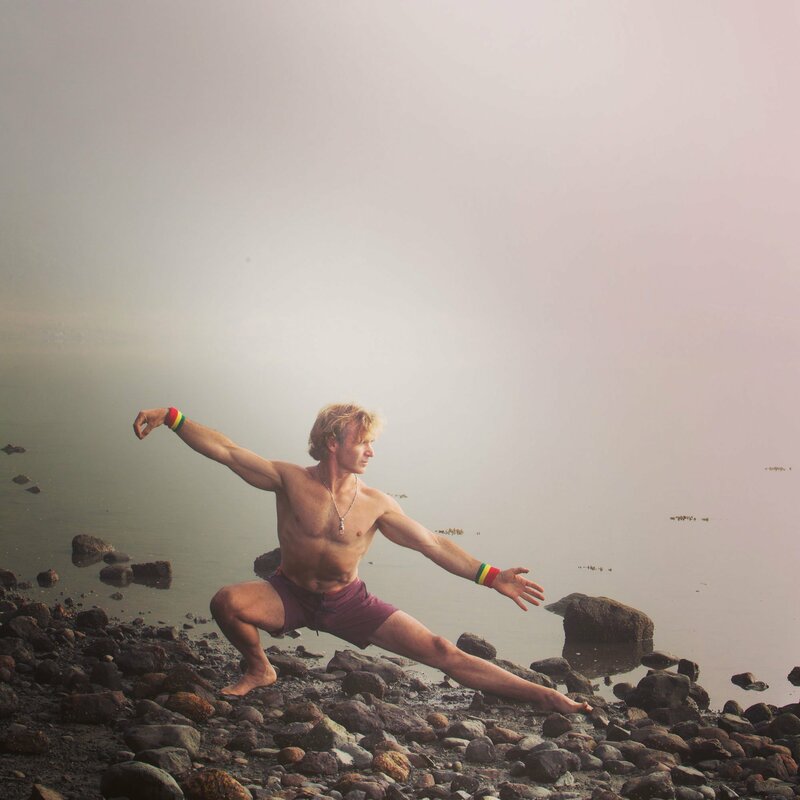 If you’re inspired by these movements, join me for a 50-hr Superflow advanced module in Tofino this September/October. Or practice with me online, on Cody.